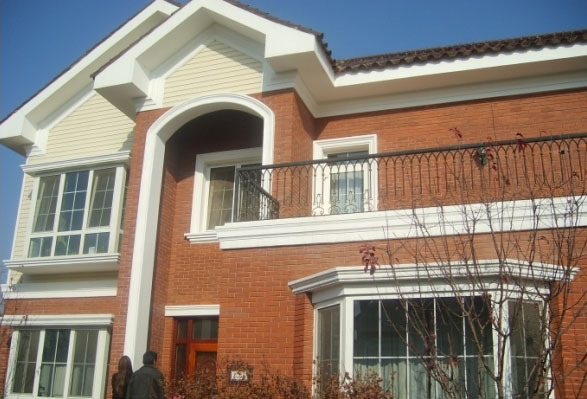 Grand Hills Villa is located beyond the fifth Ring Road, near Wenyu River with good surroundings, 10 minutes driving time to Sanyuanqiao, 6.5 kilometers to Capital Airport. Grand Hills is surrounded by Western Academy Of Beijing, ISB International School, and Montessori kindergarten. Villas with furnished basement, which could be used as children’s playroom, billiards room, wine cellar, storage room, etc. There are 153 separate single houses. Each master bedroom faces south, with 3.4 meters high ceiling on the first floor..
1、Located beyond the 5th ring road of Chaoyang District. Nearby Capital Airport Express, about 10 minutes drive to Sanyuan Bridge and 6.5 km to the Capital Airport. Close to international schools.